Fort Kent native Austin Theriault worked long and hard last year to find a competitive race car driving situation that was the right fit, but to no avail. FORT KENT, Maine and DAYTONA BEACH, Florida — Fort Kent native Austin Theriault worked long and hard last year to find a competitive race car driving situation that was the right fit, but to no avail. 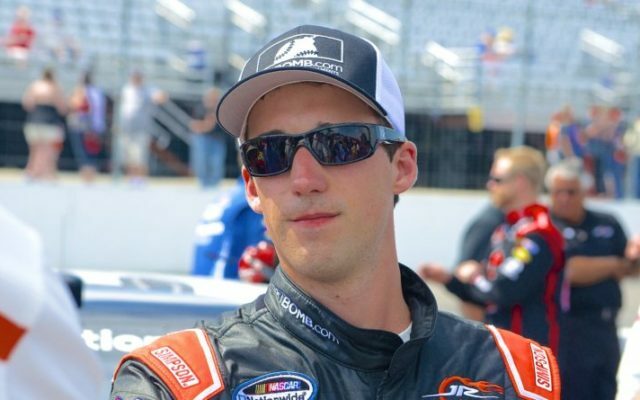 However, Theriault will back behind the wheel on a part-time basis in 2019 as he has landed a multirace deal in the NASCAR Gandor Outdoors Truck Series, formerly the Camping World Truck Series. His driving duties begin Friday, Feb. 15, with the NextERA 250 at Daytona International Speedway in Daytona Beach, Florida. Theriault has joined forces with Ricky Benton Racing Enterprises, and he will drive the No. 92 Black’s Tire and Auto Service/Highland Construction Ford 150 for races at Martinsville Speedway, Charlotte Motor Speedway and Bristol Motor Speedway. The 25-year-old Theriault has been with the team for a month and said he is excited to be back in a truck. “This is a real opportunity to thrive. I want to make the best of the opportunity,” Theriault said. “There are a lot of short-track racers out there that would love a chance to drive in the truck series. “Since we’re driving a limited schedule, we are going to have to be on our game. Since we won’t be running for points, we are going to have to earn our way into every race [through qualifying]. We won’t have anything to fall back on,” Theriault said. Theriault said it appears Ricky Benton Racing will race twice at Martinsville, and once each at Bristol and Charlotte. Theriault has enjoyed a good track record in the truck series. He has run 12 races and posted five top-10 finishes, including two top-fives. He made his return to the truck series last season for the first time since 2016 and provided the fledgling On Point Motorsports Team with its first top-10 finish. He came home in eighth place after starting 21st in the 32-truck field at the World of Westgate 200 at the Las Vegas Motor Speedway. Theriault has been working in the RBR Enterprises shop in Cerro Gordo, North Carolina, which is 165 miles from Theriault’s home in Mooresville, North Carolina, familiarizing himself with crew chief Mike Hester and the rest of the team. “It has been going well. A big part of success in racing is communication and chemistry,” Theriault said. Ricky Benton Racing has been involved in 80 NASCAR truck series races over the past nine years, and has three top-five and 12 top-10 finishes. Timothy Peters placed seventh in the RBR’s only truck series race last year after Regan Smith notched two top-10 efforts in 13 races in 2017. Theriault said the RBR Enterprises team may not have the resources of other highly funded teams, but he is convinced the team’s track record and his experience in the truck series can overcome that. Theriault raced only a few times last year after winning the ARCA Series points championship for Ken Schrader Racing in 2017, when he notched a series-high seven wins and 16 top-five showings in 20 races. “When you go through struggles, it makes you appreciate an opportunity like this,” he said. “Ricky has done some great things and helped a lot of drivers in the truck series. I think we can build on that this year,” Theriault said.